What is The Matrix? 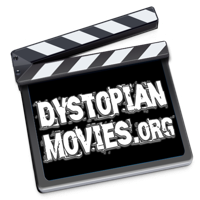 The movie explores the nature of reality, in a distant dystopic future in which man's mechanical creations have been become unmanageably powerful and rebelled against their creators. It follows the path of one man's quest for the 'truth'. Keanu Reeves as Neo in The Matrix: "I don't like the idea that I'm not in control of my life." 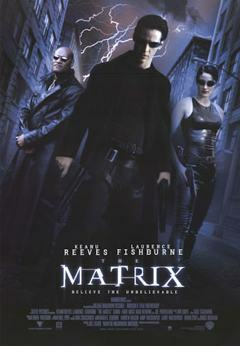 Laurence Fishburne as Morpheus in The Matrix: What you know you can't explain, but you feel it. You've felt it your entire life, that there's something wrong with the world. You don't know what it is, but it's there, like a splinter in your mind, driving you mad. Hugo Weaving as Agent Smith in The Matrix: "I hate this place. This zoo. This prison. This reality, whatever you want to call it, I can't stand it any longer. It's the smell, if there is such a thing. I feel saturated by it. I can taste your stink and every time I do, I fear that I've somehow been infected by it." Agent Smith: We’re willing to wipe the slate clean, give you a fresh start. All that we’re asking in return is your cooperation in bringing a known terrorist to justice. Neo: and you give me my phone call. Agent Smith: Mr. Anderson… you disappoint me. Neo: You can’t scare me with this Gestapo crap. I know my rights. I want my phone call. Agent Smith: Tell me, Mr. Anderson, what good is a phone call… if you’re unable to speak? Morpheus: Hello, Neo. Do you know who this is? Morpheus: Yes. I’ve been looking for you, Neo. I don’t know if you’re ready to see what I want to show you, but unfortunately, you and I have run out of time. They’re coming for you, Neo, and I don’t know what they’re going to do. Neo: Who’s coming for me? Morpheus: Stand up and see for yourself. Spoon boy: Do not try and bend the spoon. That’s impossible. Instead… only try to realize the truth. Spoon boy: Then you’ll see, that it is not the spoon that bends, it is only yourself. Neo: I know you’re out there. I can feel you now. I know that you’re afraid… you’re afraid of us. You’re afraid of change. I don’t know the future. I didn’t come here to tell you how this is going to end. I came here to tell you how it’s going to begin. I’m going to hang up this phone, and then I’m going to show these people what you don’t want them to see. I’m going to show them a world without you. A world without rules and controls, without borders or boundaries. A world where anything is possible. Where we go from there is a choice I leave to you. Paul Goddard as Agent Brown in The Matrix: "Perhaps we are asking the wrong questions." Marc Aden Gray as Choi in The Matrix: "Hallelujah. You're my savior, man. My own personal Jesus Christ." Joe Pantoliano as Cypher in The Matrix: "I know what you're thinking, 'cause right now I'm thinking the same thing. Actually, I've been thinking it ever since I got here: Why oh why didn't I take the BLUE pill?" Laurence Fishburne as Morpheus in The Matrix: What you know you can't explain, but you feel it. You've felt it your entire life, that there's something wrong with the world. You don't know what it is, but it's there, like a splinter in your mind, driving you mad. Matt Doran as Mouse in The Matrix: "To deny our own impulses is to deny the very thing that makes us human." Keanu Reeves as Neo in The Matrix: "I don't like the idea that I'm not in control of my life." Marcus Chong as Tank in The Matrix: "This is a very exciting time!" Gloria Foster as The Oracle in The Matrix: "... It means know thy self. I wanna tell you a little secret, being the one is just like being in love. No one needs to tell you you are in love, you just know it, through and through." Carrie-Anne Moss as Trinity in The Matrix: "The answer is out there, Neo, and it's looking for you, and it will find you if you want it to." Alfred Abel as Joh Fredersen in Metropolis: "Beginning today, I wish to be kept informed of every step taken by my son." Jude Law as Jerome Eugene Morrow in Gattaca: "I got the better end of the deal. I only lent you my body - you lent me your dream." Morgan Paull as Dave Holden in Blade Runner: "They’re just questions, Leon. In answer to your query, they’re written down for me. It’s a test, designed to provoke an emotional response… Shall we continue?" Morena Baccarin as Inara in Serenity: "I just want to know who I'm dealing with. I've seen too many versions of you to be sure." Harrison Ford as Rick Deckard in Blade Runner: [narrating] "The report read 'Routine retirement of a replicant.' That didn't make me feel any better about shooting a woman in the back."